That is all that matters James, you're quite right. And catch up on any third-round action you may have missed here. So you're saying they're good at the back...? Let's just check in on a graphic of all of Manchester United's efforts on goal so far. Follow that game in full here. If you dare. 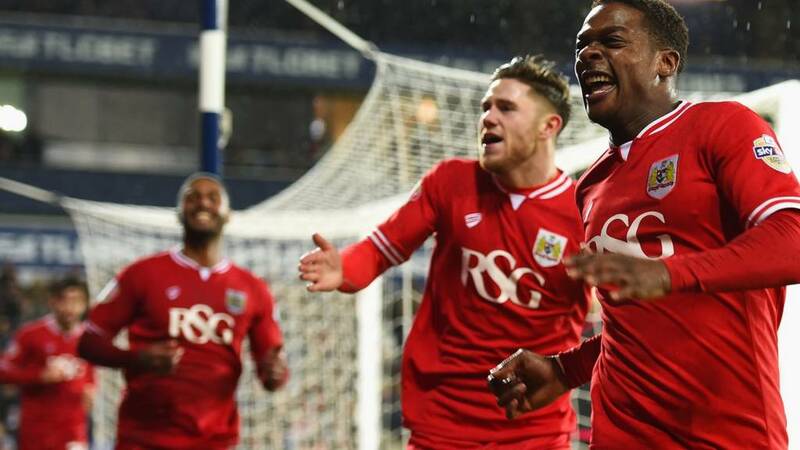 Bristol City boss Steve Cotterill is not happy after his side conceded an injury-time equaliser to draw 2-2 with West Brom. He said: The game should have been over. We timed it from the second the four minutes went up on the board. "Time was already up when West Brom had a free kick at the end. With their Premier League quality, they don't need any favours, but the referee has allowed them to play on and put another ball into our box. "I feel for our boys, because they were excellent and deserved to win." You can watch highlights of this afternoon's third-round action on the BBC Sport website here. If your game hasn't been uploaded just yet, hold fire. It will be soon. Another bit of transfer news, this time in the Championship, with Ipswich Town boss Mick McCarthy confirming that full-back Jonathan Parr is joining Norway's Stromsgodset. I've not forgotten that there's a game on by the way - it's just that nothing has happened at Old Trafford apart from some very strong weather. Speaking of January moves, Bournemouth have moved close to signing Wolves striker Benik Afobe after the clubs agreed a fee. Wolves say they "were left with little other option than to reluctantly accept the substantial bid. "Benik leaves Wolves with the Club’s best wishes for the future." Mixed fortunes for teams in League Two this weekend. Wycombe and Exeter have both banked money-spinning replays at Premier League giants, while Northampton have booked a, er, whatever the opposite of money-spinning replay is at local side MK Dons. Catch up with all of the results, reaction and highlights here. The worst goal-kick of the day, brutally punished by Jon Walters. Stoke manager Mark Hughes: "It was a good cup tie. Doncaster played well with a good quality of ball into our box, and we had to defend manfully at times. "It was two great goals that won us the tie and we're delighted with that. We made a lot of changes and we weren't as fluent as we know we can be, but the guys that came in did well. A number of them haven't had games for a number of weeks so I was really pleased with what they put up today." Doncaster manager Darren Ferguson: "I thought our performance was good. We were really unlucky not to get something out of that game. "We worked very hard and if we play like that every week we will win games. We've had a couple of clear chances at the end with Nathan Tyson and Andy Butler but in the cups you don't get a second chance and you have to take them. "We should have had a penalty at 1-1 and Wollscheid could have been sent off. We felt the little decisions didn't go our way."